The decision [pdf] was already agreed upon by members of the WHO Executive Board (EB) in January. The WHO said today a preliminary draft of the roadmap would be available by early November. The roadmap is expected to be presented first to the January 2019 EB, then to the 72th World Health Assembly. The 71th World Health Assembly is taking place from 21-26 May. 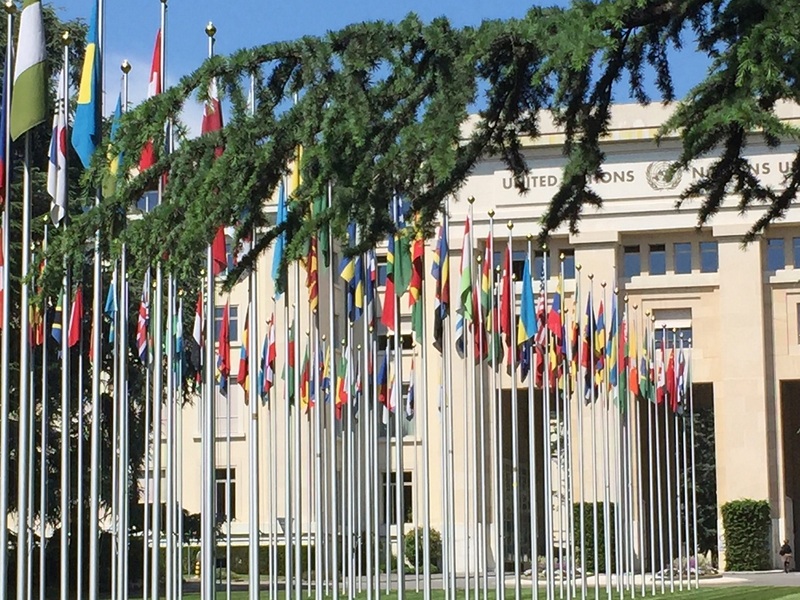 Some 60 countries took the floor on 22 May to express their position on the issue of addressing the global shortage of, and access to, medicines and vaccines. The decision on the roadmap was overwhelmingly supported although positions remained polarised when it comes to intellectual property. A number of countries underlined the importance and necessity of technology transfer and support for local production of medicines and vaccines, and many countries asked for more transparency in prices and in the pharmaceutical value chain, such as Portugal, the Netherlands, Bangladesh for the south East Asia region, Malaysia, and Thailand. Others suggested that the Medicines Patent Pool (MPP) be extended to all patented medicines in the WHO essential medicines list, such as Bangladesh and Malaysia, and Switzerland saying the idea has merit. Some countries mentioned the importance of the flexibilities included in the World Trade Organization Agreement on Trade-Related Aspect of Intellectual Property Rights (TRIPS) to facilitate access to medicines, such as Zambia on behalf of the African Group, Barbados, and Colombia. Bangladesh said shortage of medicines and vaccines is an immediate global concern, which needs urgent action. He added that information on shortages collected at the global level in a timely manner would help. Bangladesh stressed the fact that developing countries do not have sufficient pharmaceutical production capacity, and shortages raise opportunities for substandard and falsified products. The delegate cited the report of the United Nations Secretary General’s High-level Panel on Access to Medicines (HLP), and its recommendations, which he said “should be taken to a logical conclusion.” He also called for transparency and accountability throughout the value chain. Malaysia also called for price transparency, and asked the WHO to support capacity building for developing countries to establish a fair pricing model. Malaysia suggested the Medicines Patent Pool licensing be extended to middle-income countries. Zambia, on behalf of the African region, said the threat of substandard and falsified medicines is very real in the African region, which is made worse by the lack of affordable, safe and efficacious medicines and vaccines. The delegate said the group would welcome building capacity for the proper implementation of intellectual property rules in line with TRIPS. And the delegate remarked that most diagnostics and assistive technologies are still under patent. Zambia asked that the issue of access to medicines and vaccines not be linked to shortages because it might result to skewed discussions on access to medicines. This was supported by India. European Union countries have been taking different stands on IP in the last few years, ever since the hepatitis C treatment price crisis, with some southern European countries seeking to organise joint negotiations with pharmaceutical companies, and Germany remaining of the view that intellectual property is part of the solution to access to medicines. Portugal said there are multiple barriers to access and added that important aspects are transparency, fair pricing, and joint public procurement, all of which are in the WHO report [pdf] for consideration by the WHA. The lack of transparency prevails throughout the pharmaceutical value chain, in particular on the cost of production, research and development (R&D) and prices paid by other member states and procurement agencies. He stressed the “very high prices” imposed on cancer or hepatitis C treatment and some new gene therapy. R&D is costly and needs to be stimulated, he said, but there is a need to know how fairly or not it is reflected in prices. Portugal, along with other European Union countries, is exploring joint procurement, he said, adding that comparing the recommendations of the HLP with activities already carried out by WHO would be the best way to build consensus around this document. Some countries, such as Australia, underlined the “complexity” of the issue of access to medicines. Belgium underlined poor quality medicines that circulate in the global market due to the lack of regulatory alignment and the weakness of some regulatory agencies. The Belgian delegate suggested extending the WHO prequalification programme to include many products on the WHO essential list of medicines. Member states and private donors should play a vital role in the quality of medicines supplied, and should build their own quality policy, the delegate added. The Netherlands said bold steps are necessary to reach the SDG goals, and underlined the difficulties faced by countries granting compulsory licences. The country continues its efforts to prevent TRIPS-plus provisions in free trade agreements with low income countries, the delegate said. Germany said the protection of intellectual property, in particular through patents is part of the solution and is an important incentive to innovate. Improving access to medicines implies a variety of measures, such as health systems strengthening, supply chain management, the promotion of local production, and procurement mechanisms such as Gavi the vaccine alliance, and the Global Fund to Fight AIDS, Tuberculosis and Malaria, he said. States should allocate sufficient funds for good health care, he added. Austria underlined the importance of public investment in R&D and said many if not all effective innovative products are the result of research conducted initially in public universities of publicly funded institutions. The delegate also said prices are a major barrier to access. Greece mentioned the “Valetta Declaration” gathering several southern European Union countries to explore strategies on joint negotiations on prices. According to euractiv, in January Slovenia joined the declaration as well as Croatia with observer status. Last year, the health ministers of Malta, Cyprus, Greece, Italy, Spain and Portugal signed the declaration, according to the story, later joined by Ireland, and Romania. And it said France also expressed its interest. Greece asked that the WHO support similar initiatives, including mandatory licensing if necessary. The United States said it was disappointed that the WHO report proposes work in some areas “on which member states have not yet reached consensus” and that it goes far beyond the WHO’s mandate. Of particular concern, said the US delegate, is the proposal relating to intellectual property and international trade as well as the suggestion that senior WHO officials or the WHO secretariat “engage in political advocacy,” which she said is “clearly outside” of WHO’s core mission. The HLP, convened by the Secretary General of the UN, is not the appropriate starting point for the discussion, she said, adding that member states did not request it, that the report did not reach consensus support and that its limited mandate failed to look at the issue holistically. The HLP “sadly ignored” harmful and unintended consequences that many of its recommendations “would certainly” have on the innovation system, she said. In developing the roadmap report, the WHO should take into account that “the disproportionate burden of the cost of drug development” is borne by a small number of countries, and overwhelmingly by Americans. The roadmap, she said, should include engagement with entities which develop new medical products, she said, invoking the credibility of WHO’s work in the area of access to medicines. The HLP recommendations were supported by several countries, including India, Brazil, and Portugal. India said the first world conference on access to medical products was organised by India in New Delhi last year and the second edition of the conference will be held later in 2018. "WHA Agrees On Drafting Of Roadmap For Access To Medicines And Vaccines; US Blasts Compulsory Licences" by Intellectual Property Watch is licensed under a Creative Commons Attribution-NonCommercial-ShareAlike 4.0 International License. More US BS! I work for the leading company that supports breast feeding.